If you already have a bottle stashed in the kitchen, it’s time to bring it out! For those who don’t, it’s time to grab it from organic section of your supermarkets because this multipurpose product does more than just salads. Rich with enzymes and potassium, Apple Cider Vinegar (ACV) is made by fermenting crushed apples with yeast and bacteria. This process turns the sugars into alcohol, which then goes through a second round of fermentation where acetic acid forming bacteria, Acetobacter is added to convert the alcohol to acetic acid, one of the main components of vinegar. 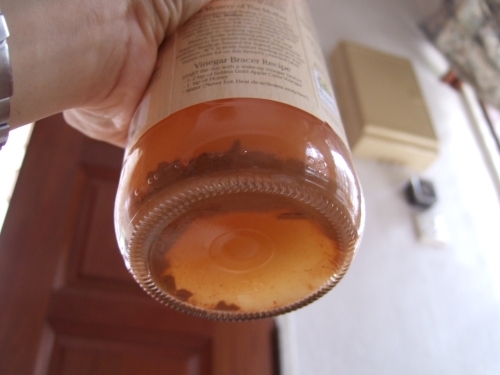 Ever wondered what the brown strands at the bottom of your ACV actually is? It’s called the “Mother”, which are enzymes of connected protein molecules formed during the fermentation process. 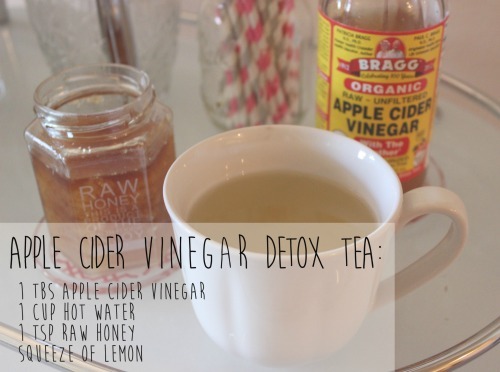 So don’t forget to shake the ACV bottle before using it so that you get the full benefits from the vinegar. A great way to know if the ACV you bought is organic and is unprocessed is the murky colour of the vinegar which is caused by the “Mother”. Our blood is slightly alkaline with a normal pH level of 7.35 to 7.45. Meat, coffee, alcohol and processed food tend to make our body produce more acid which weakens the body, making it more susceptible to illness and stress. But the acetic acid in ACV balances out the pH levels which makes your body more alkaline. This in turn makes you more energetic and strengthens your immune system. Bragg Organic Apple Cider Vinegar, one of the popular brands for organic ACV that you can find in the market, recommends drinking one teaspoon of ACV diluted in a cup of distilled water for three times a day. You can add a teaspoon or two of organic honey to the drink to make it easier to drink since not many people are fans of the tart flavour. It is probably better dilute the ACV with glass of water or honey instead of drinking it by itself because it might damage your tooth enamel, hurt your esophagus and digestive tract. Taking ACV (A tablespoon of it diluted in a large glass of water) before a meal helps to suppress your appetite and quickens your body’s metabolism. This helps you to not overeat and aids with indigestion. Thanks to the “Mother”, it’s also loaded with enzymes and probiotics (the good bacteria) which help your body to detox easier and combat constipation. Reseachers have also found that ACV reduces body weight, abdominal fat, waist circumference and triglycerides. Even celebrities such as Miranda Kerr and Megan Fox are big fans of ACV! It’s good to remember though, that ACV can’t do magic on its own. Combine a daily dose of ACV with a healthy diet, a regular exercise routine and eight hours of beauty sleep, and you’ll feel fitter and happier in no time. Research has shown that patients with type 2 diabetes who took two tablespoons of ACV before bedtime saw improvements in insulin sensitivity which helped lower their blood sugar levels. 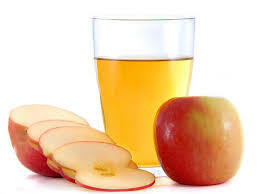 Drinking ACV before high-carb meals also helps to slow the blood sugar level from rising. Whether you have diabetes or not, ACV does its job to maintain your blood sugar levels at a healthy level. However, if you are already taking medications to lower your blood sugar levels, do consult your doctor before you start drinking ACV. No thank to our humid weather, our hair is more prone to dandruff and oily scalp. While we think shampoos and treatments are the solution, these definitely leaves some build-up on our scalps as well. The antibacterial and antifungal properties of ACV will help to clear dandruff and clean your scalp. Also, the acidity of the vinegar will balance out the pH level of your scalp. For once or twice a week, do the ACV Hair Rinse (Steps below) for healthy and shiny hair. Mix one part of ACV and one part of water in a spray bottle. Spray onto your hair after shampooing, then massage into your scalp. Leave it on for one to two minutes before rinsing it off. You won’t need to use conditioner because your hair will be smoother and the smell of the ACV will fade as your hair dries. Another way you could use ACV is to make a purifying face toner. Scarlet Johansson revealed this as one of her skincare secrets! Not only will it bring more circulation to your skin, it dissolves dead skin cells, and its antibacterial aspect helps to clear acne too. Say hello to clear and glowy skin! 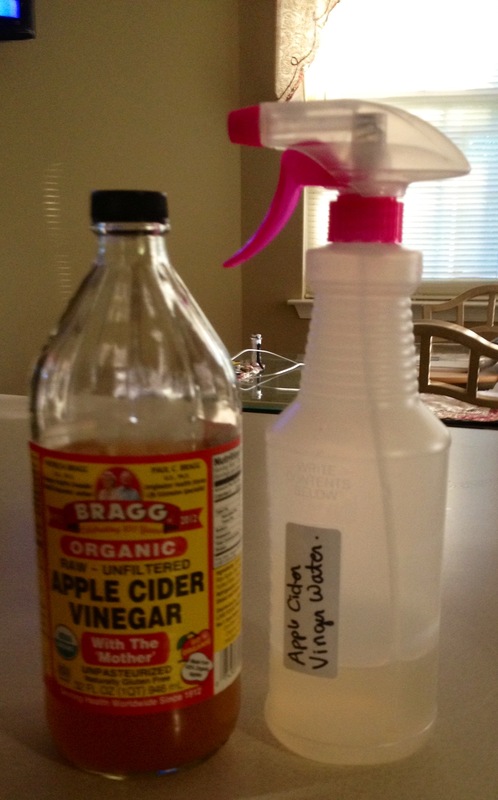 Put one tablespoon of ACV with two cups of water into a bottle or spray bottle and shake well to mix. Lightly spray or dab on with cotton on your face after cleansing then continue with the rest of your skincare routine. The vinegar smell will disappear after a few minutes. Give it a go and see how it works for you! How has ACV helped in your life? Let us know in the comments section or our Facebook page!